There's several features of Skell's that haven't been reported yet, first each Skell has two primary weapons, eight art weapons, and five armor slots. 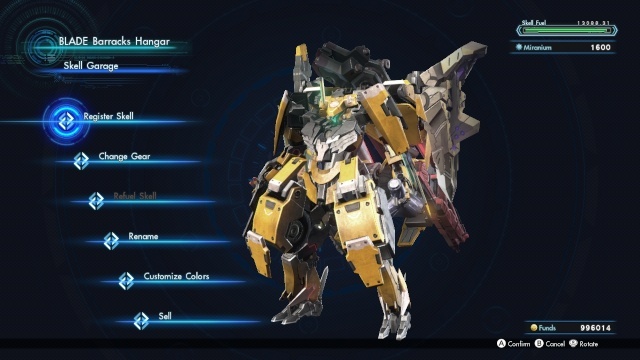 Just as with weapons and armors each Skell weapon and armor can potentially have empty augmentation slots to customize the Skell further! Certain weapons and art weapons can only be placed in a specific slot or use up multiple weapon slots so keep that in mind when choosing your weapons of choice! You can also fully customize the paint job of all of your Skells to create a unique ride like none-other! We can say for sure that you guys will absolutely need Skells for some of the more difficult missions and will enjoy every second of piloting one! Be careful, however as your Skells can only be wrecked seven times each before your insurance runs out and you have to pay the full cost of the Skell to salvage it. We will be covering the item creation system in tomorrow's preview of the game! Our review will also be going live tomorrow so keep an eye out for it! As always be sure to let us know what you think so far about the Skells feature in Xenoblade Chronicles X in our comment section below! 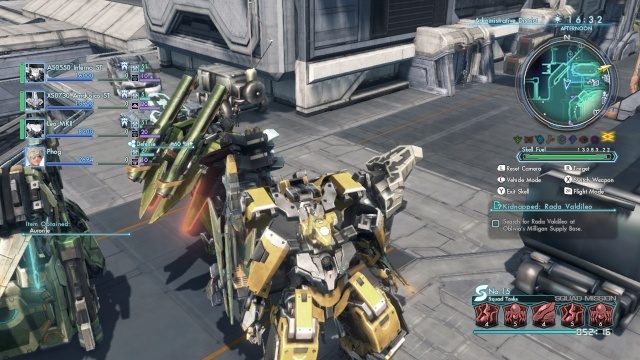 Re: Hands-On: Xenoblade Chronicles X Skell Preview! Cant wait to play this. I put down the cash to pre order it today. Does piloting a mecha make you feel like a brightly-costumed superhero, @Ichigofan? Why is d ude censored? Good preview. The skells are going to be the highlight of the game imo. @Akatsuki wrote: Nice preview milkdud! What censor are you talking about dude?